Beranabus and Dervish are gone. Bec has formed an unholy alliance with Lord Loss. Kernel is blind, held on Earth against his will. Grubbs is mad with grief and spinning out of control. The demons are crossing. The Disciples are falling. The Shadow is waiting. Welcome to the end. 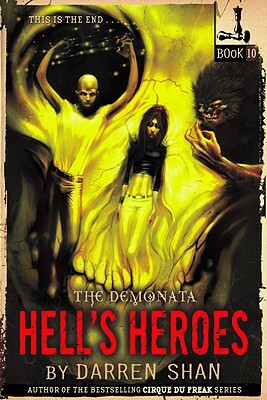 The tenth and final novel in the chilling Demonata series by Darren Shan, author of the New York Times bestselling Cirque Du Freak series, will bring everything to a terrifying, cataclysmic conclusion.